This stunning and unique piece is worn high on the throat and falls flat on your neck. Lightweight and elegant for the lovers of everything brown. The earrings compliment this unusual piece to perfection but are equally exquisite worn on there own. 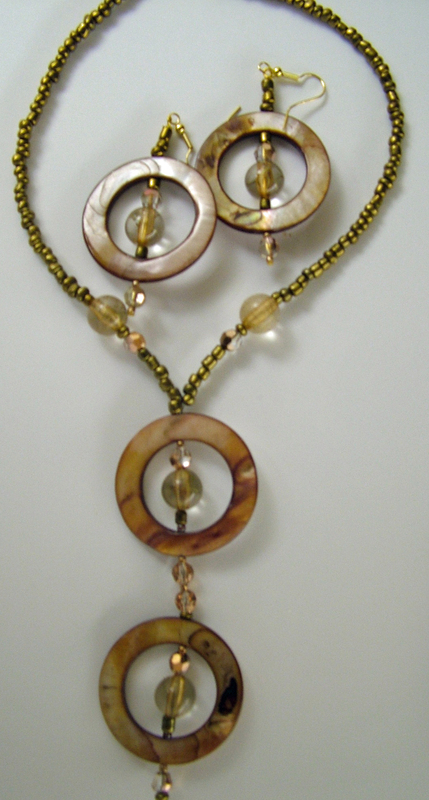 This necklace set will get you noticed in the very best way!